Whether you are shipping one flat screen TV or an entire home theater System, The Packaging Store can help. When you've got to ship twenty computers, a fragile monitor or a server with priceless data, you need specialized computer packaging and computer shipping methods. Our shipments arrive 99.8% claims free! We're the leading electronics shipping & packaging company and a more affordable solution for computer shipping. 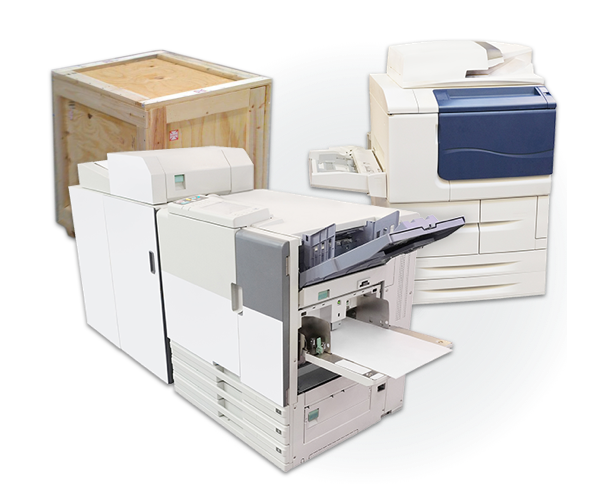 Medical equipment, ATMs, copiers, lab equipment, sound systems, telecommunications, vending machines, robotics, industrial equipment, slot machines, video games — The Packaging Store can ship it! Whether you just need to pack and ship one load or you need an on-call electronics or computer shipping service, we can help. We offer foam-in-place packaging, crating, pad-wrap and palletizing. We'll also work with you to custom design the safest, most cost-effective packaging solution. Plus, we pick up from your site and deliver locally or ship anywhere, nationally or internationally.